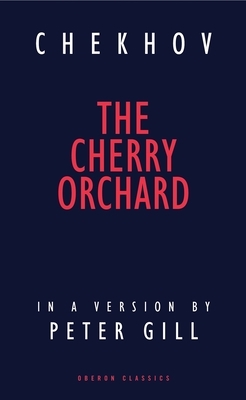 The Cherry Orchard: A Comedy in Four Acts (Oberon Classics) (Paperback) | The Drama Book Shop, Inc.
First performed at the Moscow Art Theatre in 1904, directed by Konstantin Stanislavski, The Cherry Orchard remains a classic of the theatre. Completed less than a year before his death at the age of forty-four, Chekhov's last 'comedy' still ranks supreme as a human tragedy of dispossession with audiences and actors alike. Peter Gill's luminous version brings the psychological realism of Chekhov's characters into sharp focus; fragile souls poised on the brink of happiness which never comes, or trapped in a void between the old world and the new. Peter Gill's plays include The Sleeper's Den, Over Gardens Out and Small Change, all first produced at the Royal Court Theatre, and Mean Tears / In the Blue, Kick for Touch and Cardiff East, all produced at the RNT. In 1964 he became Assistant Director at the Royal Court Theatre, and has since directed over 80 productions in the UK, Europe and North America. He founded the RNT Studio in 1984, since when he has been an Associate Director of the RNT.